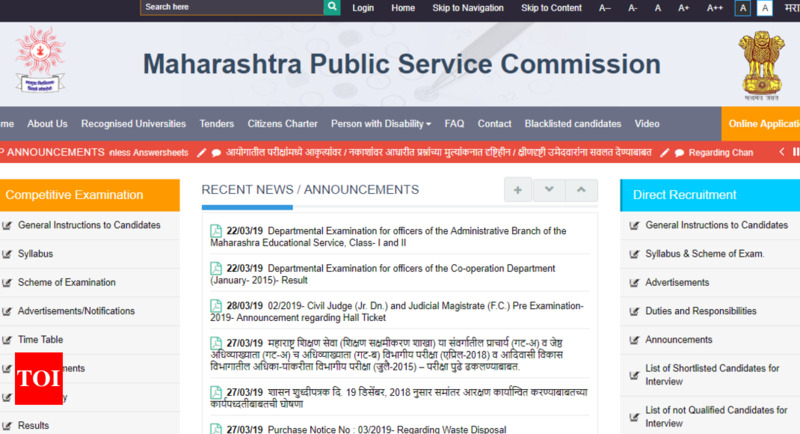 NEW DELHI: Maharashtra Public Service Commission (MPSC) has released the admit card for Civil Judge (Junior Division) Prelims Examination 2019 on its official website. The candidates who have applied for the Civil Judge (Junior Division) Prelims Examination 2019 can visit the official website of MPSC-mpsc.gov.in- to download their admit card. The Civil Judge (Junior Division) Prelims Examination 2019 is scheduled to be conducted on April 7, 2019. Candidates can obtain their admit card either from the official website or from the direct link provided below.